Ratnagiri : The committee set up to probe the alleged corruption in the Maharashtra government’s flagship water scheme in Ratnagiri has recommended suspension of four officials, a minister said on Sunday. Ratnagiri District Guardian Minister Ravindra Waikar said the panel submitted its report after visiting the sites from where there were complaints of irregularities. The scheme, Jalyukt Shivar, an initiative by the Devendra Fadnavis government towards farm-level water conservation, aims to make Maharashtra drought-free by 2019. Senior Sena leader and Environment Minister Ramdas Kadam recently alleged that the work done under the scheme in Dapoli, Khed and Mandangad tehsils of Ratnagiri was only on paper. Officials had cleared bills of Rs 10 crore for non-existent work, he had claimed. Shiv Sena chief Uddhav Thackeray had then questioned how it was different from irrigation scams during the previous Congress-NCP regime. Later, BJP’s Water Conservation Minister Ram Shinde had rejected the charge of irregularities, but said that Ratnagiri district collector was asked to conduct a probe. “Ratnagiri collector Pradeep Prabhakar set up a committee whose members visited and inspected a few areas of Nilavane in Khed and some in Dapoli taluka,” Waikar said. “They found that funds have been transferred into the account of deputy divisional agriculture officer but not paid to the contractor, while in the Nilavane case, money was paid to the contractor even as the work was sub-standard,” he said. “Hence, the committee recommended that four officials of the agriculture department be suspended,” he said. On the basis of the inquiry report, the collector recommended to the joint director of agriculture department to take action against the officials, the minister said. 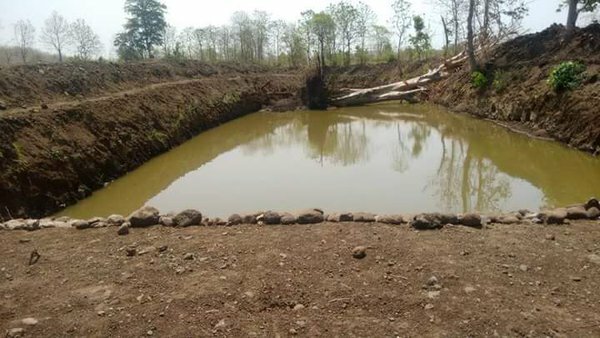 The Jalyukt Shivar project involves construction of cement and earthen stop dams, work on drains and digging of farm ponds.